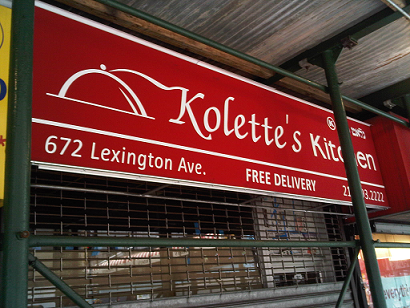 Kolette’s Kitchen opening in Midtown | Thanks a Glatt! It is open. Under the Vaad Harabonim of Queens. it’s open and right outside of work. really good food for a decent price, they’ll be seeing me again. Very obnoxious employees or owners who make fun of poeple in a language they think you cant understand.